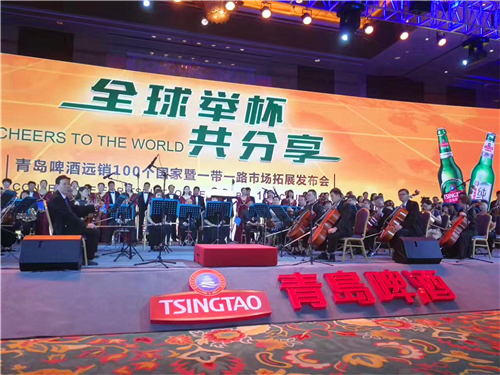 Tsingtao Beer held a news conference themed "Cheers to the World" on Aug 11 in the coastal city of Qingdao, Shandong province. People of all colors, different backgrounds and different nationalities, gathered together for Tsingtao Beer. 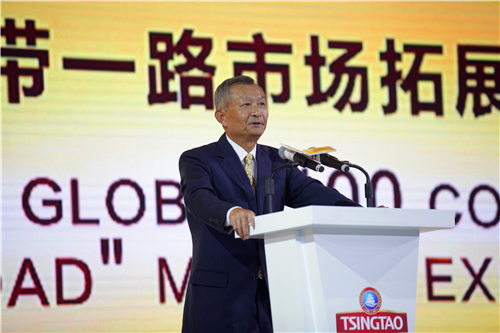 During the conference, 100 global representative consumers received honorary medals of global consumer advocates from Sun Mingbo, chairman of Tsingtao Beer, and other senior executives. 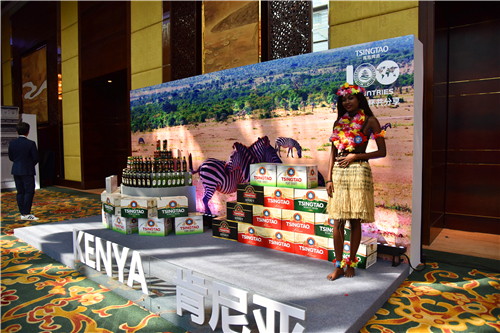 Representative consumers shared their Tsingtao Beer stories. Bryn from Australia said that he tried Tsingtao Beer for the first time at a Chinese restaurant in Melbourne in 2014 and loved it. Carson from Canada said that he felt refreshed after having his first can of Tsingtao Beer on a mountain in Canada. Sebastian from Argentina shared a more interesting story. His family has their own business, and a few years ago, while having dinner at home, he used to drink Tsingtao beer on occasions, and his entire family thought it tasted great. So they planned to import Tsingtao Beer to Argentina. One year later, their business started picking up. "We are surprised that this beer has spread so fast in our country!" At the exhibition area, models from the UK, Germany, France, Holland, Australia, Kenya and Argentina, dressed in their local costumes stood in front of their countries' "classic architecture", saying "Hello! Cheers!" while holding the Tsinghua Beer. Tsingtao Beer and these countries have all had successful trade cooperation. According to the Chinese Brand and China National Image Research Report released by the International Communication Studies Center of China International Publishing Group, in terms of consumer awareness, Tsingtao Beer is recognized by up to 90 percent of the population in some countries, primarily recognized in the developed countries in Europe and the United States. Latest three year results show that Tsingtao beer is more popular in developed countries than in developing countries. Music does not have any languages. World classic national music including A Night at Moscow Suburb, Maira, Aida and The Five-star Red Flag Flies High brought guests into a journey of music around the world. Italian singer Irene and an employee of Tsingtao Beer Zhao Li got together and sang I Love You, China and My Sun.